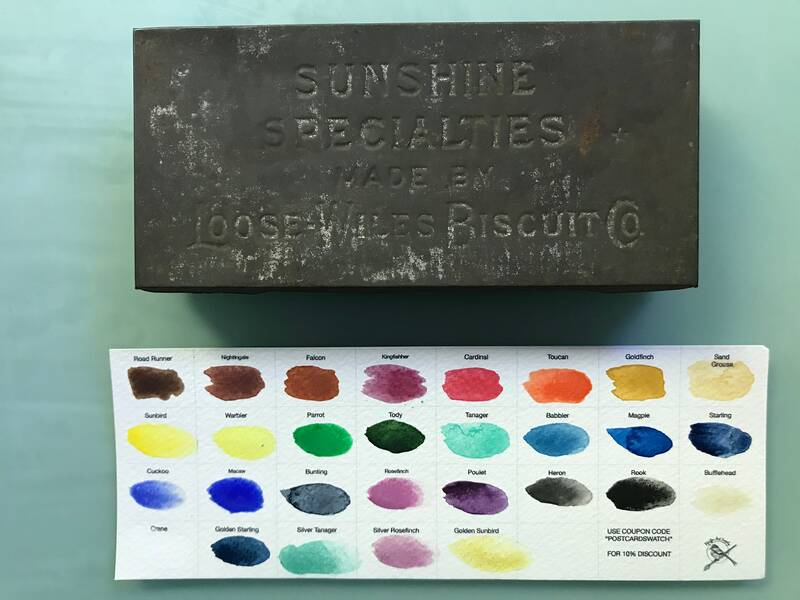 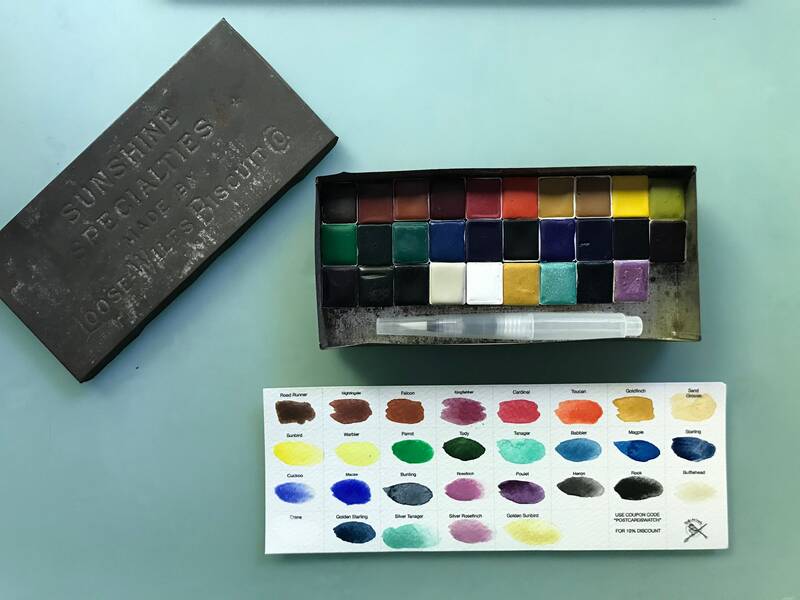 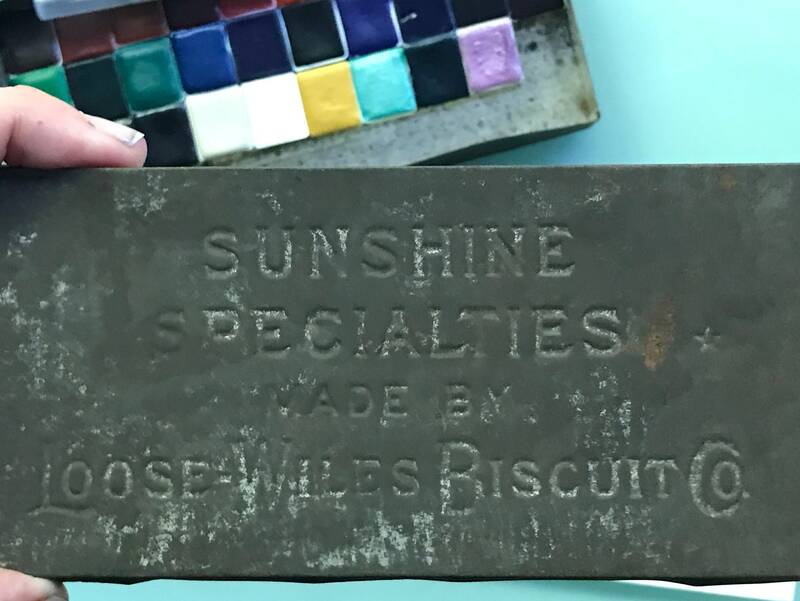 This kit includes 29 HALF pan size watercolors in Vintage Sunshine Loose wiles Biscuit Co Tin from early 1900's comes water brush. 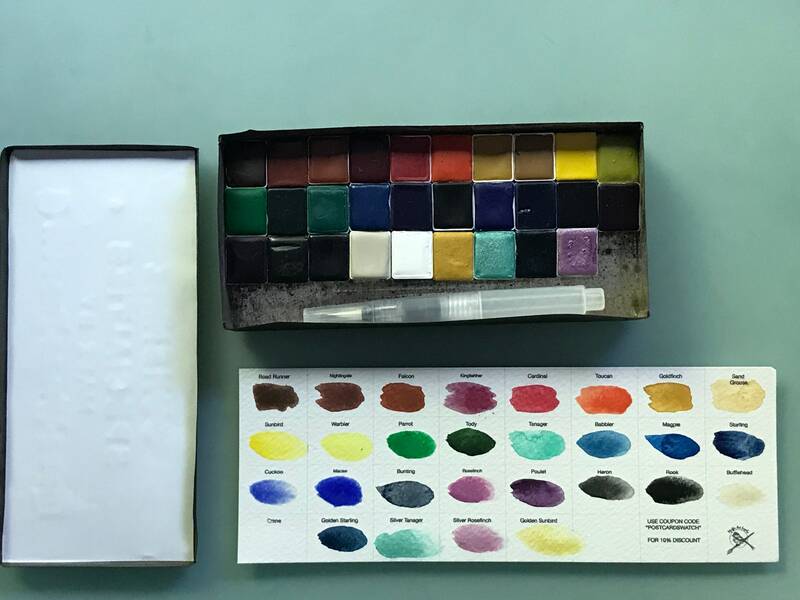 This is our largest watercolor kit. 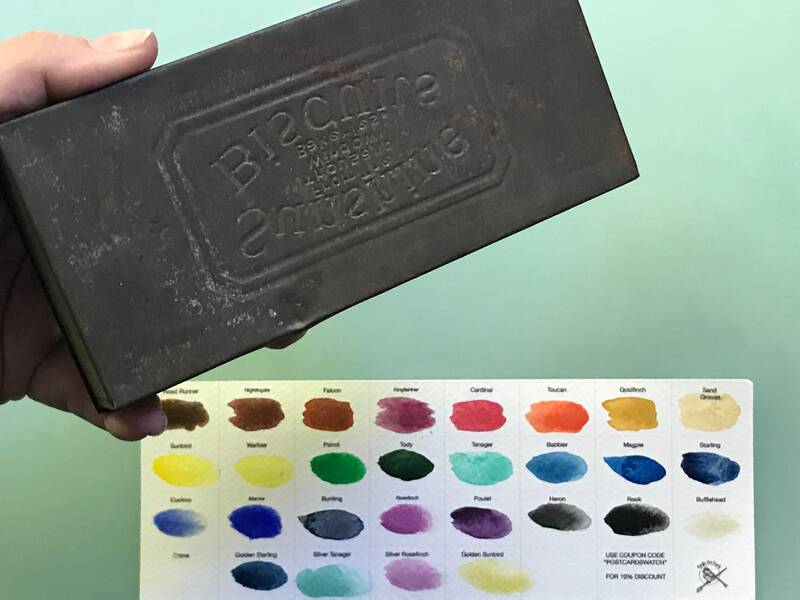 It comes with all shop colors. 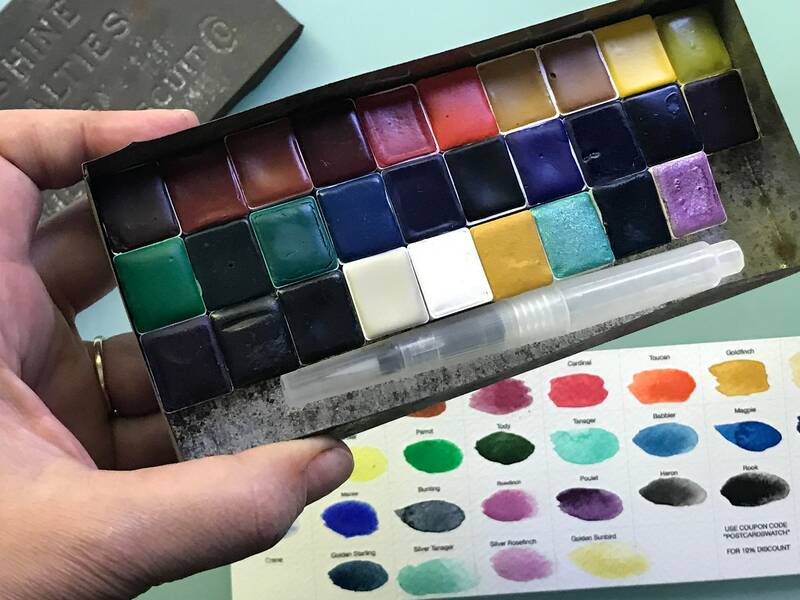 Includes 4 Mica sparkly paints.